Intellistage is supplied through distributors in various countries, the product is made in China and imported by appointed distributors of Road Ready. It tends to be cheaper, because its heavier, and needs new parts such as locking cleats replacing more often. The range is abundant and gives lots of choice. Delivery lead times can be extended if the distributors don’t have stock levels through lengthy importing times. Bare this in mind if you are considering adding to the staging size over time. A feature of the range is the wheeled staging and folding deck platforms. 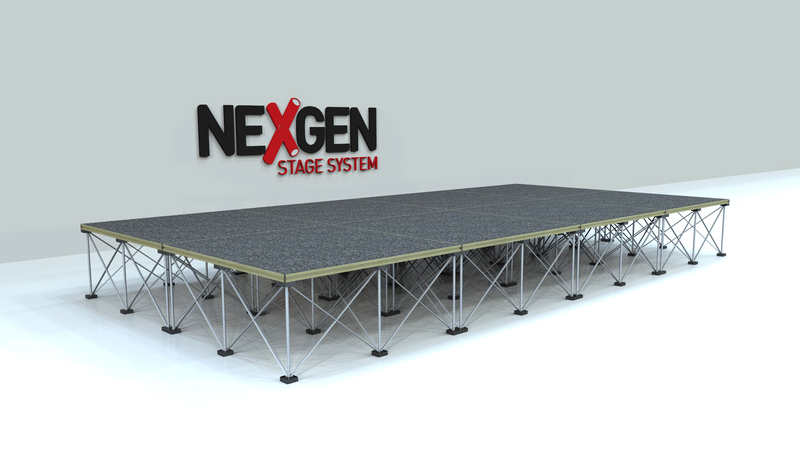 Imported staging, mainly made in China, and sold through distributors. Does the job fine, but there’s a whole host of parts, sold in mini packs, which leads us to believe, you may spend time swapping out parts a lot. That said, the parts are cheap. Downside is its a lot heavier than others, but lower cost too.